Dimensions: 25" x 10" x 12"
Note: Has Water hook-up & 1.5" Vacuum port for dust suppression. 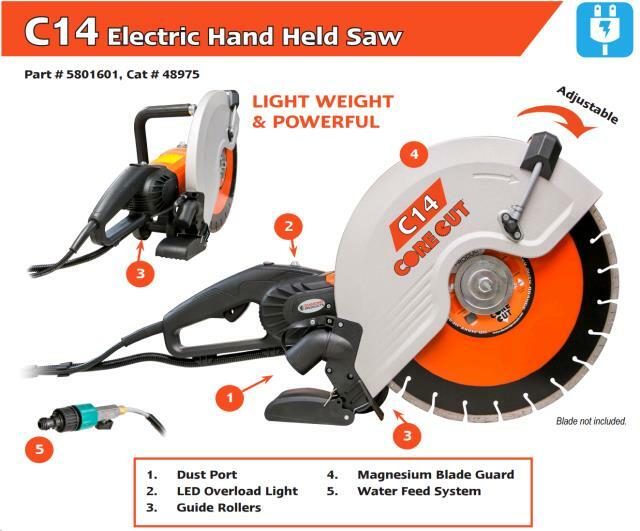 ** Please call us for any questions on our 14 inch elec. hand held saw rentals in Fairview Heights IL.